TORONTO – The electric vehicle road trip is becoming a practical reality as an increasing number of players work to close gaps in Canada’s fast-charger networks and ease fears of getting stranded along the way. New entrants like Petro-Canada and Electrify Canada are working to add dozens of fast-chargers across the country this year, building on efforts already underway by provincial utilities and other early adopters to help ease concerns of skeptical buyers. Volkswagen’s Electrify Canada expects to have the first of its 32-station rollout done this quarter as it builds along the Quebec City-Windsor and Calgary-Vancouver corridors. “We really felt the need to build a purpose-built network that can allow people to drive more than just in and around the city,” Electrify’s chief operating officer Rob Barrosa said. Meanwhile Petro-Canada said last month that it would add 50 fast-charging stations across the Trans-Canada Highway, including in the sparsely served stretches of northern Ontario and the Prairies that the federal government is also working to cover. The additions come as part of a steady growth in the fast-charging network, including Alberta-based utility Atco announcing in February it will build 20 sites by the end of the year across southern Alberta, and the first fast-chargers now live in Glacier and Yoho National Parks. The growth of fast (or level three) chargers means dramatically reduced waits to get back on the road. The chargers, generally with a capacity of 50 kilowatts, can recharge upwards of 320 kilometres of a car’s range in an hour, far faster than the overnight charging of 6.6 kilowatt level two chargers that owners can install in their homes. However, most EV drivers will find they won’t need fast chargers very much, said Cara Clairman, founder and CEO of EV-focused non-profit Plug’n Drive. With EV ranges starting at about 200 kilometres and half a dozen models offering 350 kilometres or more, drivers will find charging overnight at home or at work to more than suit most needs, she said. She said that boosting the number of chargers in condos and apartments, a process that can be complicated and expensive, would go much further in boosting adoption. Canada already has more than 500 fast chargers as part of a network of over 4,000 level two and three charging sites tucked away in garages, parking lots and behind buildings. The effort on the multi-unit residential front received a boost in the latest federal budget, as the Liberals committed $130 million over five years to build new charging infrastructure in under served areas. But drivers do tend to shop for vehicles with that once-a-year trip to a far flung city in mind, so fast-charging infrastructure is still important, just not as much of a priority, Clairman said. Reliability of those extensive networks is also key, said Louis Tremblay, CEO of AddEnergie, parent company of the Flo charging network. He said fast-charging hubs will likely move more towards rest stops and places with amenities, both because gas stations often don’t have the space for expansion to the number of outlets that will be needed, and because people need something to do while waiting for a charge. Work is underway to cut those wait times down further. Electrify Canada is installing chargers capable of up to 350 kilowatts, which can add 200 kilometres of range in eight minutes. There aren’t yet vehicles available that can take that much power, which requires liquid-cooled cables to handle the energy, but they’re coming. Tesla, which has been building out its own extensive network in Canada with stations planned across the Trans-Canada, is also starting to roll out 350 kilowatt chargers and vehicles. 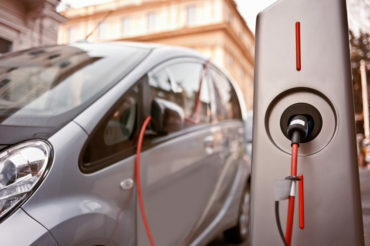 The faster charges pose challenges including potentially higher prices, increased strains on remote grids, and reduced battery life if they overheat, said Olivier Trescases, director of the University of Toronto’s Electric Vehicle Research Centre. Companies are struggling to find the balance between power density, which creates fast charges and acceleration, and energy density, which adds distance, he said. Trescases said the up front cost of electric cars is still a barrier, but people should understand that the higher EV cost comes with a lifetime discount on refuelling and maintenance. Plus, he says there are other benefits.